QUEST Toowoomba staff have been praised for their actions when a midnight fire forced a mass evacuation last year. A re-opening date has just been announced. The inferno on June 13 razed Amigo's restaurant and Adrenalin Climbing Gym, and the heat caused millions of dollars in damage to the award-winning Quest hotel. 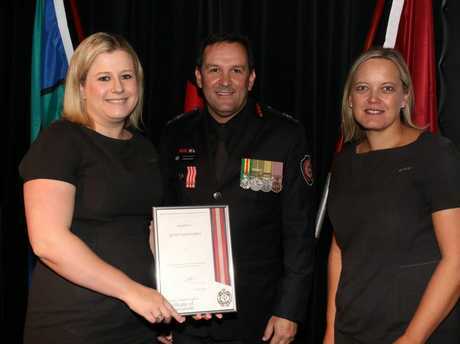 As Quest prepares to reopen next month, authorities have praised the actions of staff during the evacuation which earned the team an Australia Day Achievement Award at the Queensland Fire and Emergency Services and Queensland Police Service ceremony yesterday. "The QFES acknowledges the commitment and dedication shown by the staff of the Quest Toowoomba hotel on the night of the fire and their assistance by successfully evacuating 90 residents," QFES Acting Superintendent Paul Evans said. "The on-duty staff followed their established emergency evacuation procedures, leading to the safe evacuation of the residents." Quest Toowoomba general manager Cynthia Rice recalled the midnight evacuation, and praised front of house manager Angela Fowler. "We evacuated 88 people into five properties," Mrs Rice said. "There were 52 firefighters, 12 trucks, media, eight police cars, two maxi cabs and her and I. "It was freezing cold, midnight and black smoke filled the air. "Angela was focussed only on guest safety and worked efficiently and effectively to evacuated the guests, move them to safety, organising alternative accommodation and arrange transport, as well as liaising with emergency services and handling enquiries - all with a smile." Quest will reopen on February 19 when extensive repair works will be completed. 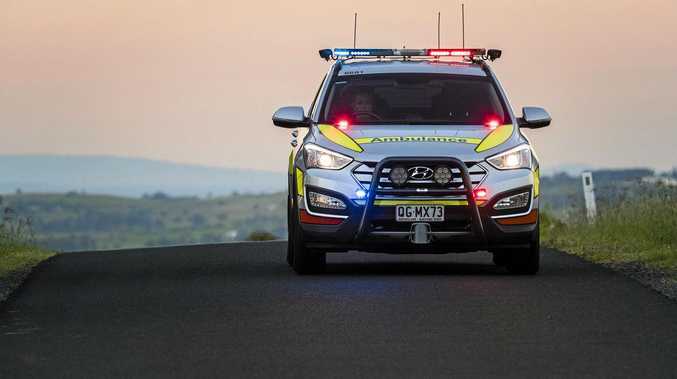 The damage bill topped $5 million after the inferno which police described was the worst Toowoomba fire had experienced. Developer FKG restored the award-winning and heritage listed hotel, replacing soft furnishings, broken windows and glass, furniture and electrical, paintings, and plumbing and wiring, just two years after it first opened on Margaret St.
Fire destroys Amigo's: Witnesses have described seeing a wall of fire erupt from the Amigo's Bar and Grill in Margaret St.